TCNJ, in partnership with international provider CIEE, is excited to afford students the opportunity to immerse themselves in the Dominican culture while gaining familiarity and experience with public health, community health, and both public and private tertiary health systems within the geographical borders of the diverse city of Santo Domingo. 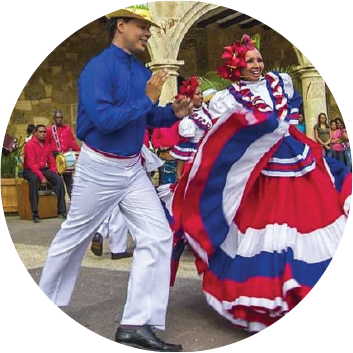 This unique program is rooted in a semester-long, on-campus course during the Spring semester and elevated by an immersive 8-day experience abroad in the Dominican Republic during TCNJ’s Spring Break. The application window for the Spring 2019 program has closed. 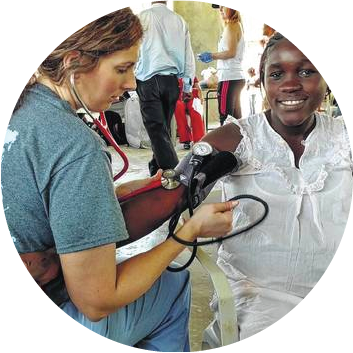 Students will interact with healthcare providers, students, and patients during short-term guided visits and learn about health disparities during participation in a service-learning activity at Batey Relief Alliance, as well as experience a clinical day within a public hospital setting. Participants will complete this program having gained a new perspective about health care that they can contrast and compare to that in the U.S. and other areas discussed within the global health course content. Eligibility: Open to Sophomore, Junior, & Senior undergraduates majoring in Nursing, Health & Exercise Science, Public Health, and/or any major leading to a undergrad or graduate/terminal degree in healthcare. Program Fee: $2,240. Fee includes all meals. View Budget Sheet or explore scholarship opportunities. Please contact the TCNJ Center for Global Engagement at cge@tcnj.edu, 609-771-2596. For course specific questions, please contact Carolina Borges at borgesc@tcnj.edu. Please review our refund, cancellation, and withdrawal policy statement should a student not be able to participate in the program.